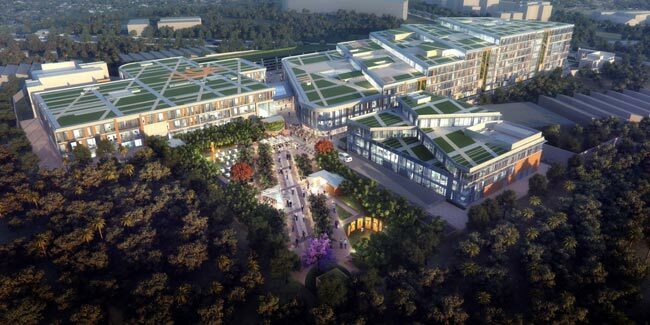 The proposed development of Piramal Agastya Business Park will be completed in two phases. Phase I will cover an approximate leasable area of 1 million square feet. The project consists of three buildings; one at two level above ground and the others at six level above ground, both with two basement levels for dedicated parking spaces. Located in the buzzing commercial district of Kurla, Piramal Agastya Corporate Park is accessible from all parts of the city by road and rail. This vital area is home to numerous landmarks and close to key mega infrastructure projects. Bandra Kurla Complex and the business district of Powai are located in a radius of 3 and 6 kilometres. Premium retail and entertainment brands along with esteemed 5-star hotels are also situated in close vicinity.